Pendula Swing is an episodic adventure game that uses fantasy tropes in an imaginary version of the American Roaring 20s to tell stories and ponder racism, prejudice and job loss due to technological advancement. We will release the first episode by the end of this summer, so while we are busy making pixel magic happen, we need fresh eyes to help us spot the errors as we develop the world of Pendula. Testing a game as early as possible with people outside the dev team is crucial. So we already started distributing a few keys for our testing branch on Steam. However, we are designing Pendula Swing more akin to TV series from many aspects. One important aspect is the ease of getting access to our episodes. 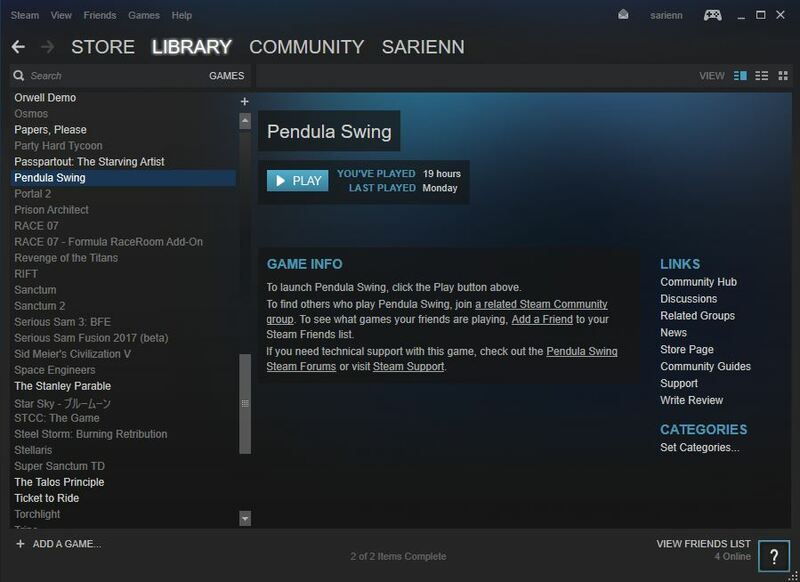 For non-gamers, Steam does not offer easy access to our testing version of Pendula Swing. Which is why we want to write this short guide. Steam is a digital distribution platform for games. For those unfamiliar with it, think of it as the Netflix for games… sort of. 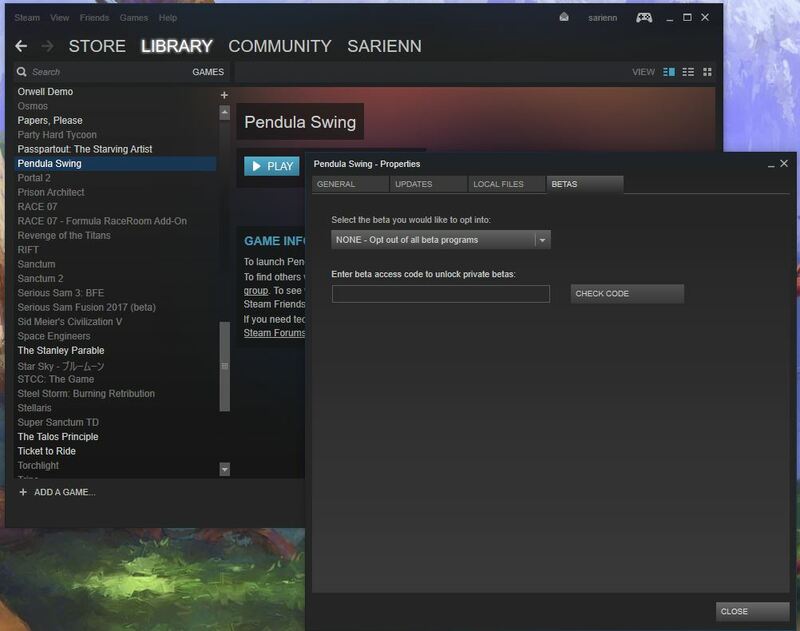 In practical terms, Steam is a website and a software client that allows you to purchase, install and play games on Windows, Mac and Linux computers. Steam exists since 2003 and is developed by Valve Corporation, originally a game development studio who created titles like Counter Strike, Half Life, Portal and Team Fortress. Valve developed Steam to ease up the updating and patching of their games, and also to provide a more powerful anti-piracy and anti-cheat solution. Steam became popular and Valve started to release other games on this platform. Currently, Steam has over 150 million active users worldwide, and a peak online concurrent users count of 18.5 million recorded in January 2018. There are over 15000 games on Steam today, and this number grows with an average of 21 per day. Steam can be accessed at https://store.steampowered.com/. You can create a Steam account straight on the website, or you can download and install the client and then follow the steps to create an account that way. 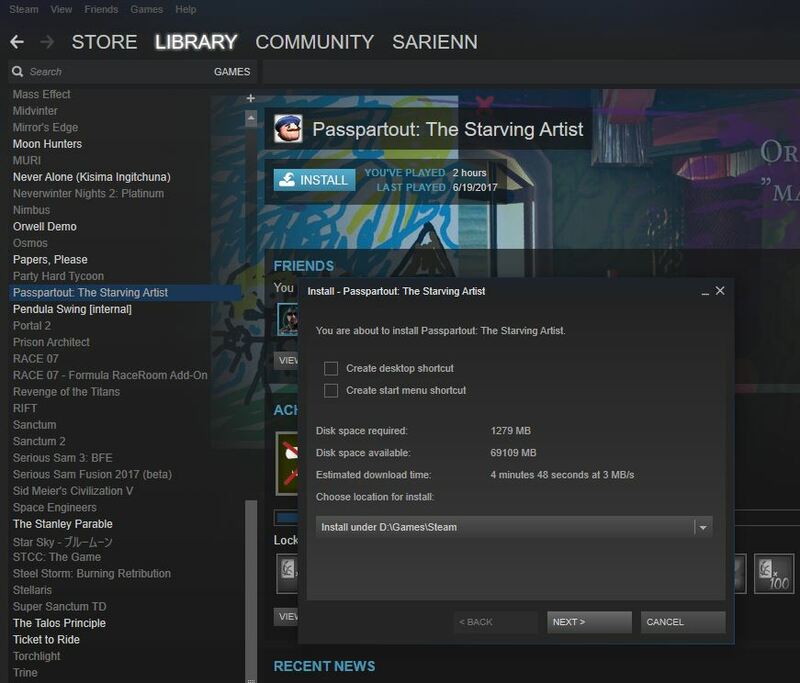 The Steam client can be accessed from the upper right side of the Steam website – the green button called “Install Steam“. Download SteamSetup on your machine and follow the prompts to install the EXE installer software. By default, Steam is installed in C:\Program File\Steam and it is here where all the games you will access will also be installed. You can change this location. Once done, launch Steam and wait for it to update. On first launch, this process can take a few minutes. When done, the client will start and you will be able to log in, or create an account. Once set up, you can purchase, redeem and install games on Steam. All the games you get will show up in your Library, where you will be able to install and play them. Besides browsing the Steam catalogue, you can also activate product keys, redeem wallet codes, get and give gifts, as well as adding non-Steam games to your library. All these options are available in Games, from the uppermost menu Steam/ View/ Friends/ Games/ Help. Developers can push their games on Steam before they are launched, and can allow private access for testing. You can redeem a Steam key for an unreleased game by accessing the same Games menu and choosing Activate a product on Steam. Follow the steps until you get to the Product Activation window, and then add the key. 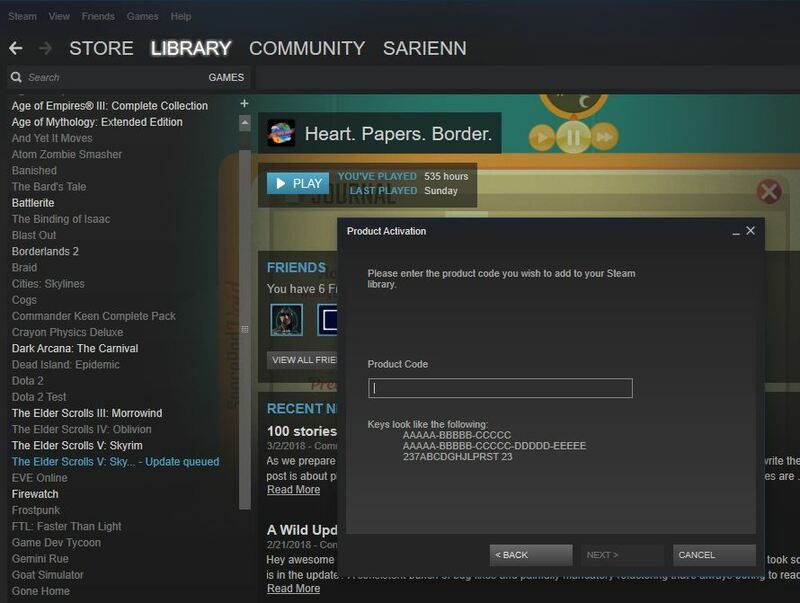 Steam keys look like this: XXXXX-XXXXX-XXXXX where X can be a letter or a number. Make sure the game is available for your operating system – sometimes, developers postpone making builds for MacOS or Linux. Once you followed the steps, you should see your game in the library. You can install it, play it, and much more if you right click on the title of the game in your library. With a released game, this is also where you see which of your friends are playing this game, or what Achievements you have earned. If the password is correct, you will be able to select multiple versions of the game from the dropdown Select the beta you would like to opt into:, right above. If you are eager to test Pendula Swing, subscribe to our newsletter, follow us on Twitter or Like us on Facebook.